Here’s another old favorite. 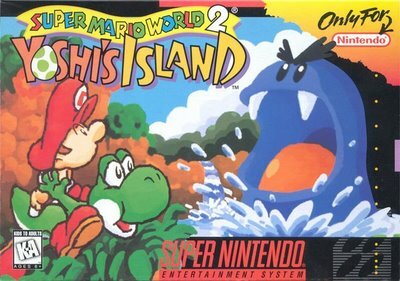 I loved Yoshi’s Island for the SNES, and while the Athletic theme is by far the most widely known, I have a soft spot for the “Underground BGM”. OCRemix staple McVaffe‘s arrange comes from 2002 and is a nice blast from the past. “Crystalline Caverns” follows the same method as Koji Kondo’s original, possessing a meandering flow through the underground that turns and twists winding paths through the earth. The caverns are big, hollow, and full of shining rock. The piece certainly has an American feel through the bubbling synth beat and the calming swish of the drums and cymbals. However, what really makes it stand out is the minimal acoustic piano that echoes and tiptoes along with the beat, seeking a path through the dark. Though there is no piano solo, there is a nice synth break at 2:25. “Forest Temple” has to be my favorite piece from Legend of Zelda: Ocarina of Time (other than the “Song of Storms,” of course!). While there’s not much in the way of melody, the piece is memorable for the unique sounds of the percussion and the hints of a melody floating over the entire piece like beads on a string. This soothing, forest-y percussion underlying the entire track – a rattling of wood and hollow reeds, tribal music in the dark. Above this is a synth line suggesting violins or other strings, the high notes decorating the space with dust motes in beams of light and the branches of the canopy. At 1:10 a choral section is added for the spirits of the forest. I suppose in the end, the piece is a little trance-like, but overall it is a very pleasant, atmospheric piece, with the strange instruments making it exceptional. The interesting thing is, comparing the Ocarina of Time soundtrack with the Super Mario 64 soundtrack, the instrument sets are very similar, especially for tracks like “Forest Temple,” which sounds quite a bit like the “Cave” theme. Most of the remixes of this track have been trance. There was a pretty weak mix by Acoustic Department on the German Ocarina of Time Vol. II: The Lost Tracks album. There is also a rather odd lyrical mix (in Japanese) by pixietricks (Jill Golden) called “Prayer” from OCR. Not really a fan of this one, either. She might be able to speak Japanese better than I can, but it just doesn’t sound right when she sings it. Thankfully, the folks at Zelda Reorchestrated did an awesome straight-up arrange of this piece. Too bad it’s missing the vocal tracks (Though I have to say I’m a bit jealous ZREO managed to get to go to E3…for a vgm remix site? I run the biggest Metroid site on the web, and nobody invited us…). I do have to say a couple things about the Ocarina of Time soundtrack (1998). Nintendo rarely does soundtracks to their games, but this time they went all out: the first prints of the album came with a replica of the Ocarina of Time in a special display box. Similar to the Metroid Prime and Fusion Soundtrack, there were also four covers to choose from (simply fold the booklet differently). Even without the first print, this still gets an A+ in album design with awesome disc art, booklet, and case design. Like most great things, too bad it’s out of print. DarkeSword (Shariq Ansari) is known for his excellent instrumentation, and “Ancient Hero” is no exception. High production values mean instruments that sound much like the real thing, and the violins, choir, trumpets, and flute are spectacular. The arrangement is also top-notch, with a slow build where the bard’s harp recalls the tale of legend, with a lilting melody that seems all but lost in the distant past, that slowly grows in complexity and depth as the bard spins his tale, adding choir and trumpets. The main melody then arrives about 1:00 in, heralded by the violins at 0:47 which recall stormy seas, sheets of rain, and high waves, a distant light on the ocean. The atmosphere is exceptional, feeling straight out of an actual coastal town. 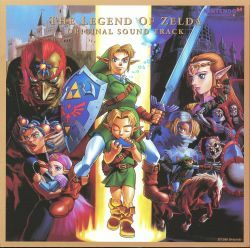 In the middle, we finally hear the classic Zelda theme, which creates a nice break and tie with the rest of the series. “Ancient Hero” is an arrangement of “The Legendary Hero,” the intro story theme. This, too, has a wonderful instrument selection, with guitar, ocarina, and fiddle – all ethnic instruments that would fit clearly within the world of Wind Waker. Also, the rendition of the Zelda theme on fiddle is amazing, an image that, along with the woodcuts and stained glass, will stick with me (along with the sailing!) as the most defining moment of this game. Nazo no Murasamejo (1986) is a Famicom Disk System game that never saw a release outside of Japan. 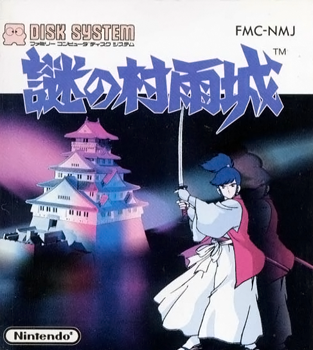 The game is about a demon from outer space that takes control of the castle of Murasame along with the four surrounding castles which the apprentice samurai Takamaru must overthrow. The game basically plays like an action-based Legend of Zelda (without permanent weapon upgrades). The game never achieved commercial success, but did see a re-release on the Virtual Console in Japan in 2008. 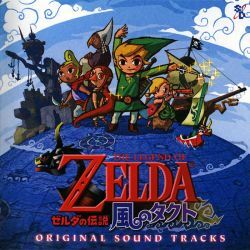 The soundtrack is notable for being an early composition by Koji Kondo that has rarely, if ever, been heard outside of Japan. UPDATE: “Castle Town BGM” is called “Along the Way” according to the Super Smash Bros. Brawl sound test. This piece is a medley of all the main songs from the game from Famicom Music Vol. 2. It is unique in that its arrangement works quite well as each track melds nicely into the next. The most memorable piece is “Castle Town BGM”. It’s very traditional Japanese-style music, befitting of Edo-period Japan, with some nice simulation of koto and flute. In terms of arrangement, the piece resembles the Super Mario Bros. “Overworld BGM” with a three-part theme containing several variations on the main melody, though not as elegantly produced. The “Inside Castle BGM” (0:58) is also fairly good, sounding like the flow of a river, echoing through the furnished chambers of the castle. The “Murasame Jo BGM” (1:15) is another nice dramatic piece, driven primarily by flute and koto. It shows definite development in Kondo’s musical style. I think we could have done without “Ode to Joy” (2:21) though – the song, though with a nice, eerie singing, feels dead out of place in medieval Japan and is ultimately just a cop-out in lieu of original music. I’m glad most game composers stepped away from this by this time. 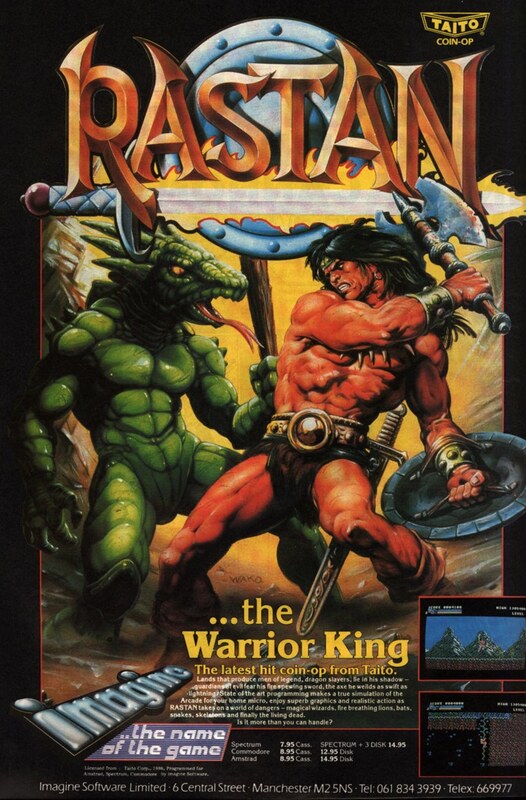 I do love the game’s box art, though – it reminds me of 1980s rock album covers. The entire soundtrack was released as individual tracks in Famicom 20th Anniversary Original Sound Tracks Vol. 1. There are a small number of mixes for a popular piece. The best mix by far is by longtime Zuntata composer Yasuhisa “Yack.” Watanabe in Famicom 20th Anniversary Arrange Sound Tracks. The piece is more atmospheric, a mix of the “Inside Castle BGM” primarily, with a little bit of the “Castle Town BGM” towards the end. The instruments here are fantastic, oozing the flowing waters, cool breezes, bamboo groves, and hewn stonework of old Edo. It’s like modern techno-Japanese. Read the rest of this entry ? 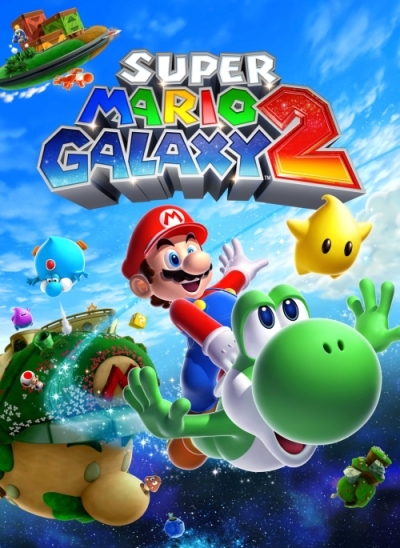 It feels odd using yet another Super Mario Galaxy 2 remix from Super Mario 64 (after all, that’s what yesterday’s was!). However, “Koopa’s Road” is another track that stands out for me. Whether it’s the song’s driving beat, its atmosphere of a grueling obstacle course from which the track’s name is derived. The snare drums, sticks, and trumpets make for a very precise rhythm, a forward march through conjured images of flames, bubbling lava, and baked stone. The song is simultaneously melancholic and determined, a multi-layered beat and rhythm that drives the player forward, but also a steady upward movement in intensity that never achieves tones of triumph, lying instead in the minor key. Another fine defining point is the exotic synth line in the final section of the loop, a very Kondo-esque plucking that is similar to both Super Mario World and also the Middle East. “Koopa’s Road” from Super Mario Galaxy 2 in contrast is a step to the side of Ravel’s “Bolero”, Read the rest of this entry ?